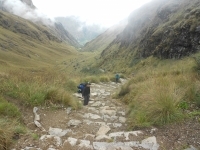 Trekking the Inca Trail was a dream come true for me and I cannot imagine having a more complete experience than the one we had with Inca Trail Reservations. 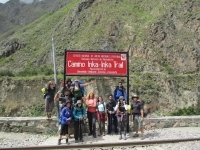 The guides were extremely helpful and the porters were amazing. We were a large group of 16 people and it seemed everyone had a wonderful time. It was one of my greatest experiences! 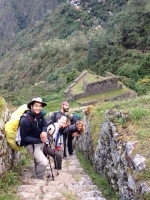 The personal challenge was enormous, but at the end it was really easy to manage due to the perfect organization, the excellent work of the porters and Victor, our guide! He was always motivating us and making us laugh even in the most difficult moments! 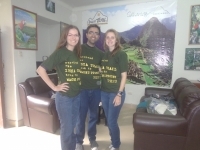 Machu Picchu and Huayana Whohoo!!! 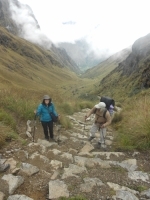 I do recommend the 4 day original Inca Trail Track. Thanks for a great and unforgettable experience. Victor, Martine, the porters and Fabien took really good care for us and kept motivating us with their good spirit and the good food. 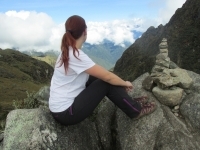 The trek really pushed me to my limits but I will never forget the trip, the people and the fun we had. 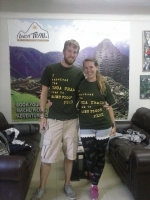 Inca trail adventure of a lifetime! 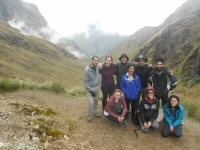 One of the best experiences of my life, the inca trail is an expedition in human perseverance, living together with a family of strangers helping each other, inspiring and jaw dropping vistas, informative and helpful guides. The service provided for the conditions was impeccable, with the fresh food, camping setup and informative and entertaining guides. I have a great time doing this trail. It was amazing! 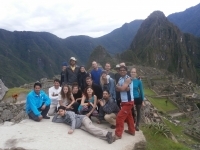 The group was very nice, we are family now :) The trail was difficult in some parts but we all helping each other and when we finally get to Machu Picchu it was so good! The staff was excellent and the cook is the best! One of the best experiences I have ever done. Starting from the briefing, the spirit of the group was great.